Can you help to identify any of these children? We are missing several names in this school photo. 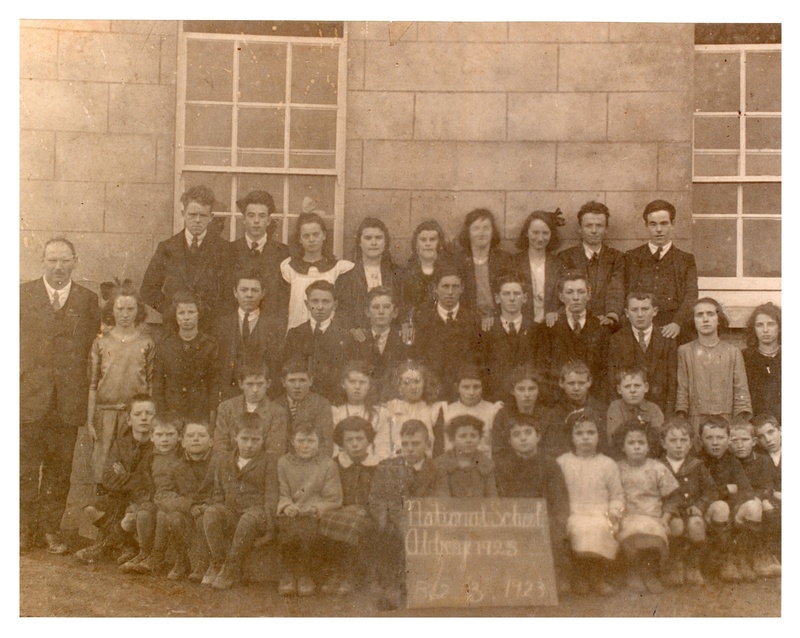 Back Row left to right: Harry Donnelly, Pete Ryan, Annie Abberton, Mary E Kelly, ?, Ellen Finnegan, Bridie Abberton, Bertie Donnelly, Jacko Ryan. Next Row l to r: Master Power, Gretta Abberton, Mary Frances Sullivan, Ned Larkin, Tommie Abberton, Connie Donnelly, Tom Joe Conroy, Pakie Callanan, John Coughlan, Joe Hynes, Mary Anne Watson, Rose Martin. Next Row l to r: ?, Tommy Watson, Katie Madden, Mary Anne Fahy, May Burke, Bab Donnelly, Michael Fahy, ?. Front Row seated l to r: ??? We have five names: Sonny Callinan, Larry Collins, ??? Frank Hynes, Bridget Kelly and Kathleen Kelly. Photo courtesy John Ryan. 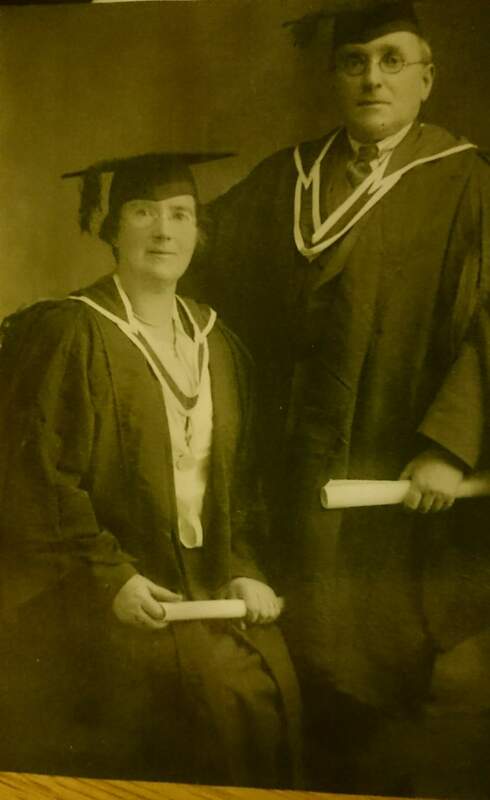 Graduation photo of Mr and Mrs O’Connell, teachers in Duniry National School. We will be happy to publish any further school-related photos that we receive. This page was added on 03/01/2017. Front row. 9th from left to right, front row, almost 95% sure my uncle Frank Hynes. 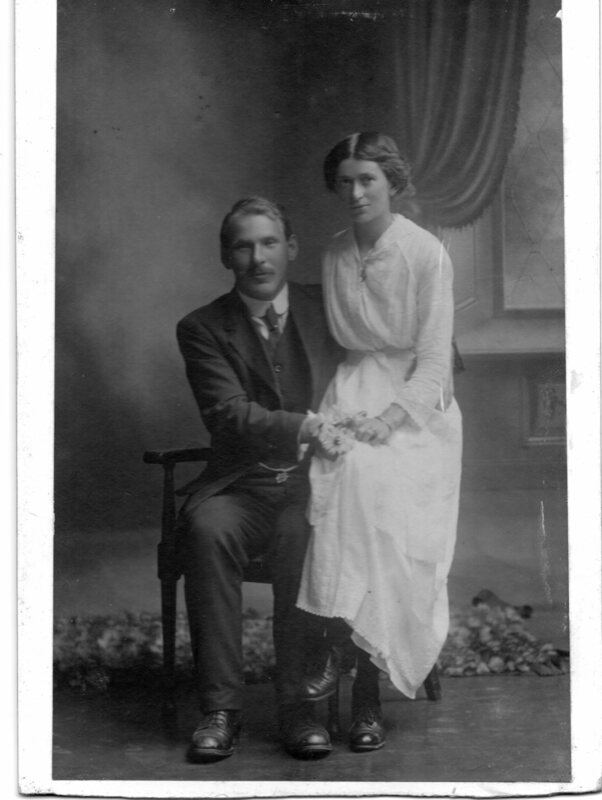 Have photo of the older members of the Hynes family around that time.